Between the beeping of the monitors, pole bag alarms and the general hum of the hospital environment, my mother in law’s breathing sounds went unnoticed. In fact, I don’t remember noticing anyone’s breathing that day. (Who am I kidding, most of us never even think about our breathing. That is unless we’re having trouble breathing.) We were all too busy trying to get her out of the hospital and back to her assisted living apartment so that she could die in comfort, not in institutional sterility. We were all rushing to get her home. In time. Thankfully the ambulance transport finally came and she was carried and placed safely in her bed at what had been her home for the last year and a half. Normally she would have wanted the television on, or music. But, in this moment, she wanted nothing but Lauren, Tom, and I close by. Lauren spoke words of comfort and love to her, telling her how much Eloise and Avery, Dolores’ great granddaughters, loved her and always would. Tom and I sat on either side of the bed, gently touching her arms and feebly encouraging her to relax and breathe easy. The hospice nurse had come by briefly but had gone down the hall to get pain medication. As soon as she had walked out the door, Dolores, with a determined look on her face began to breathe more loudly. Slow and deep, which was sort of odd because she had COPD and her breathing was usually very shallow. We sat and listened. It only took a few moments but it seemed as though time stood still. The art of midwifery comes to mind when I think of sitting next to her as she breathed her way home. It was a slow, beautiful, almost serene release. And then she was gone. No more breathing sounds, but a sense that she had left the room. That she was still “she”, but that she had gone and left her shell behind. She’d been set free. That’s what we experienced. We couldn’t see it, but we felt it. The next evening our two granddaughters spent the night with us. The oldest, two year old Eloise, slept with us, along with our two dogs, a labra doodle (Eli) and a havenese (MO). All five of us cozied up in our, thankfully, king sized bed. In the middle of the night I awoke to Eloise’s chin perched on my shoulder and the soft sounds of her breathing in my ear. It was like heaven. There were also other sounds. Eli’s slow and steady breathing at the foot of the bed. MO’s snoring on the other corner. And the faint snore of Tom on the other side of Eloise. All of us in this space and time breathing together. It felt comforting and safe. It felt like love. A few years ago I was asked to speak at the funeral of a young man who had committed suicide. He left behind a wife and two children, ages 6 and 3. I was asked specifically to speak to the children. Although they had not been told the circumstances surrounding their father’s death, they knew he was gone and could, as much as their young age equipped them to, sense the pain around them. I was asked to give them words of encouragement. I can honestly tell you that I don’t think I have ever had a more difficult or terrifying, or humbling request. I had no clue. I can’t remember what scripture I read in preparation of my words. I don’t remember much of what I said, mumbling something about whatever they were feeling was just fine, whether that be fear, or sadness, or boredom. I then felt a nudge to get them to try something, along with everyone in the sanctuary. I asked them to put their hands over their ears and to listen to their own breathing. I encouraged them, and myself, to do that any time they felt afraid or confused or any other feeling they couldn’t understand. I heard myself saying that each time they heard their own breath, it was God saying they were loved, and that they were not alone. I’m not sure if those two little boys were encouraged or if one word I said soaked in. There were quite a few adults who thanked me for the breathing comments later. I guess the older we get the more we need reminders that we are not alone. That we are loved. Because the older we get, the more noise we have accumulated, muting the voice of God in our hearts. The spelling for the word God in Hebrew is yod, he, vov, he. It’s a word the Hebrews revered rather than spoke. It’s a word breathed rather than pronounced. It’s a word that, when breathed, reminds us that God is breath and, breath is a gift from God. I experienced this unexpectedly yesterday. I was stuck on I10 in a traffic jam. I was getting frustrated and rather than let my blood pressure rise in anger I decided to concentrate on my breathing. I was hoping this would work. So I wouldn’t get all worked up. 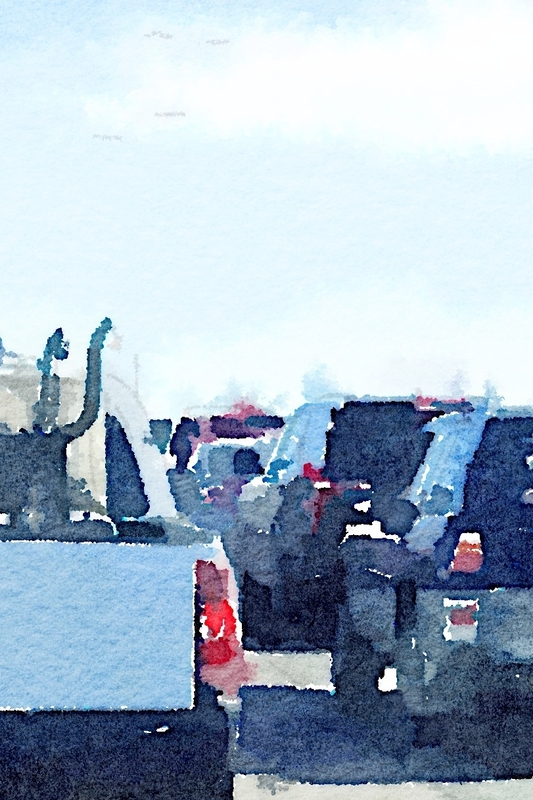 Apparently it did because, as I sat there in the parking lot of traffic, breathing, I began to see all of the cars in front of, beside, and behind me as vessels of breath. And ultimately, as vessels of life. We were all, no doubt, in various states of hurry and frustration over the traffic. Each one of us was on our way somewhere to do something and would rather be “there” than “here” in this moment. But here we were all forced to be. In this moment. Unable to do anything but sit and breathe. Oh, I’m sure some folks had their music blaring and were on their phones lamenting the traffic to someone or conducting meetings. Or worse yet, texting. But, whether we were aware of it or not, we were all experiencing the gift of breathing in the now. Of course this is what each moment of our lives holds, an opportunity to notice the gift of God’s grace in each breath. God’s “Yes, I love you enough that I gave life to you!” But most of the time we just breeze on past the moment, skimming the service and missing deep the gift of life that comes in each and every breath we breathe. But in the moment yesterday I caught, or was given, a glimpse of this heaven on earth that is poured out on every living creature. For just a moment, I thought of all of us, each of us, experiencing God’s love in each breath. It didn’t matter what color, religion, nationality, ethnicity, political party, social status, economic status, whether we are a “good” person by religious or social standards, smart or dumb, mean or kind, male or female, sad or happy, old or young, gay or straight, or even whether we believed in God or not. We were a body of breathers, partakers of life, therefore partakers of God’s grace. God’s love. And for just that moment, I felt a connection with this mass of strangers in a way I could never have imagined before. And i felt gratitude as I saw a glimpse of just how big and unconditional God’s love is for us all. And, for a moment, I think I understood in my pea brain of understanding why God would think it was important to become one of us in the person of Jesus. To remind us of God’s yes. To remind us to breathe. I got a glimpse of the gospel of incarnation as a way of waking us up to the gift we had already been given. And, just for a moment, I let myself consider ways that I might learn to be more unconditional in my love for humanity. Ways that I could be more human. And humane. Oh, that the moment would last in my heart! But then, traffic cleared and we were all racing to catch the time we had lost there simply breathing, and I exchanged, to my shame, an eternal moment for the urgent master of time. Isn’t it stunning to think that whoever you are, wherever you are, whatever else you are doing, you are breathing. Breathing right along with every other creature on earth (at the very least). And because you are breathing, you can rest assured you are indeed alive, purposed, and loved. God is saying a big yes to you with every breath. Isn’t that a beautiful place at which the world could begin to connect? That is, if we are willing to take the time to stop. And breathe. Together. This entry was posted in breathing, connection, Faith, Lessons Learned, Life, life and death, Relationships, Spirituality, unconditional love and tagged breathingspace, giftoflife, God's love, god'sbreath, grace, lessons learned, love, weareone. Bookmark the permalink. I’m sorry for the pun, but this took my breath away. Just so beautifully written. So tender. I love how you compared your mother in laws breathing at her death to childbirth. So eloquent and profound. I love the pun! Thank you so much for reading the post, and for your comment.